In the late 1800's about eight miles south of Fort Kent on the Caribou Road, a growing community became known as Daigle. Its name originated from its first settler Vital Daigle, who had made his way through the woods from the town of Frenchville in search of a new home for his family. Other settlers from Frenchville had followed and Daigle had developed into a small community. In 1904, Vetal Pelletier sent a letter to the Bishop of the Diocese of Portland, Right Reverend W. H. O'Connell, requesting permission to establish a new parish in the community of Daigle. In 1905, the Bishop sent a letter to Father Zenon Decary, who was on assignment in Biddeford, Maine, to relocate to the adjoining town of Fort Kent and begin raising money to build a church in the community of Daigle. By the fall of 1906, a new parish called Holy Family Parish was established. The residents of Daigle quickly responded by donating the property on which to build the church and establish a cemetery. Chrysostome Daigle donated the land where the church, rectory, granary, garage, and sexton's house was to be built. His brother, Denis Daigle, donated the land for the Holy Family Parish Cemetery. When the first pastor, Father Joseph Drolet, arrived in 1906, he organized the construction of the church building. During the winter of 1906, the wood was cut and sawn for construction in 1907. The first church building was never fully completed. In May 1909, after the Sunday morning mass, the building was engulfed in flames. The residents of Daigle were devastated, but immediately began construction of a second church building on the same location. By the end of 1910, a new church building was built and would remain until July 2000. 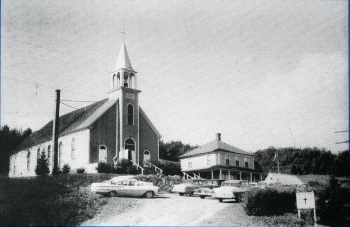 By the late 1960's, although the population of Daigle remained constant, a decline in the number of priests in the Diocese of Portland caused Holy Family Parish to lose it resident priest. The parish became a mission and the pastoral responsibilities were administered by adjoining parishes. 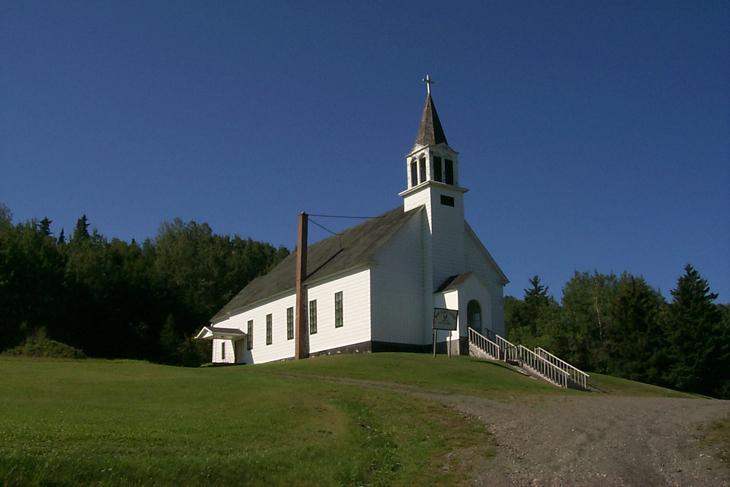 By the early 1990's, Holy Family Parish became part of the Saint Louis Parish in Fort Kent. Rising maintenance costs, closer alliance with St. Louis Parish, and continued shortages of priests, Holy Family Parish closed its doors in July 2000. In a final celebration of mass, in a church that had faithfully served the residents of Daigle for almost a century, all the priests who had served Holy Family, and were still in the Diocese of Portland, participated in the closing ceremony. In November 2000, a demolition team leveled the church building. A monument was erected on the spot where the church building stood. At the request of the residents of Daigle, the Diocese of Portland authorized the sale of the church property to the Town of New Canada for the purpose of erecting a Community Center. Although the Holy Family Parish church building no longer exists, the cemetery remains as a final resting place for Daigle residents. The following link provides a description of the search facility to a database of people buried in Holy Family Cemetery.